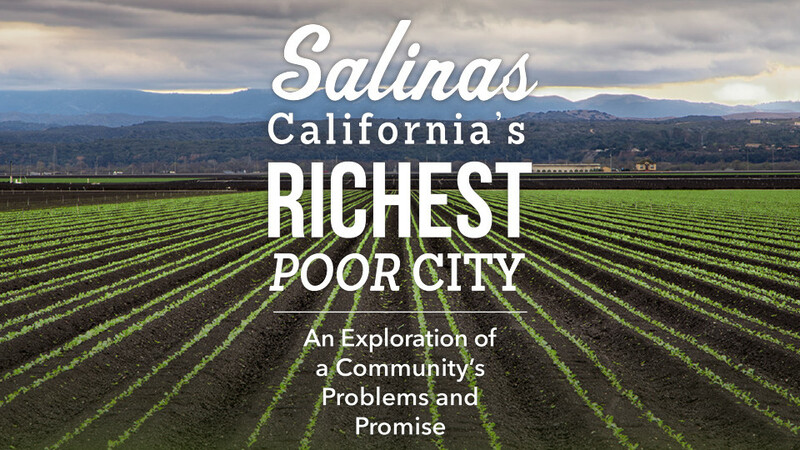 This Zócalo special project, funded by the California Wellness Foundation, aims to tell the story of Salinas—whose motto is “Rich in Land, Rich in Values.”—from the ground up. Through stories mostly told by locals, we learn about a play on bracero history that brought residents closer together, a patchwork of fields growing salad greens in the heart of the city, and the dreams of a girl from a tough housing complex. Through an intimate account of its drumline classes, a history of what farmworkers accomplished there, and photos from the #Salinasisbeautiful Instagram feed, Salinas emerges in kaleidoscopic detail. This is an exploration of the health of a city, its ailments, and the urgent efforts to give it a brighter future.